Hello again from Jennifer and Mike’s assistant, Katie. This month I took a trip to Snowflake Lane in Bellevue. If you don’t already know, Bellevue is right across Lake Washington from Seattle. 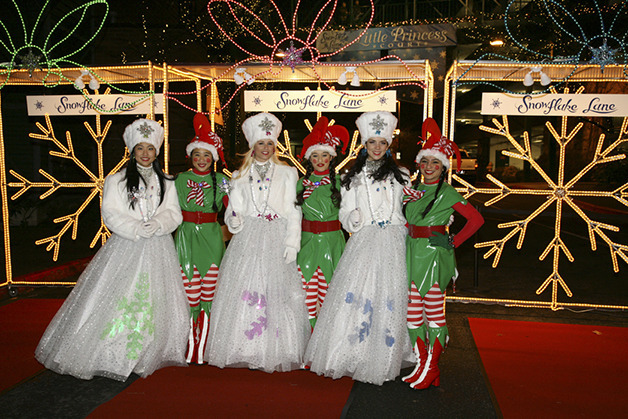 Snowflake lane is a performance put on in the middle of the street every night at 7pm on Bellevue Way. It is a holiday show where people dance in the middle of the street with Christmas music playing around them. I started the night off by getting to Bellevue Square extra early to guarantee myself a parking spot and a good view of Snowflake Lane. I was there so early I went to grab dinner at Tavern Hall. Tavern Hall looks like an old English pub that has been updated and being that it is in Bellevue it’s updated nicely. It was a little busy that night because a group was having their holiday office party. However, they have this super cool waiting system. They use an app to tell them how long the wait is for each table. Then they text your phone when your table is ready. You can also download the app to check what your wait time is. After about 20 minutes I got seated and ordered the Cuban sandwich. It was super delicious and I would definitely go to this restaurant again. 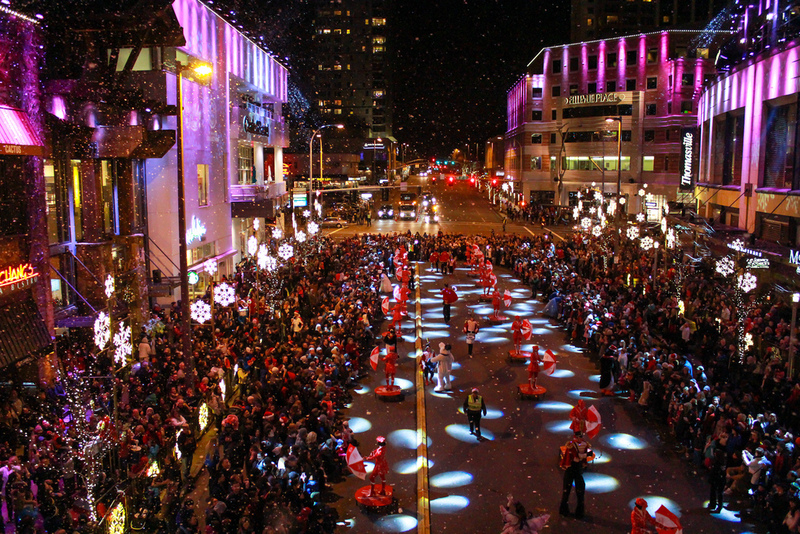 About 30 minutes before Snowflake Lane was about to start I found a spot right in front and waited. If you haven’t been to Snowflake Lane I suggest you should go at least once. However, it doesn’t seem necessary to go more than once unless you have kids that want to go. The whole production was definitely more focused on kids and their families. So it was something to see, but not something I would go to again. Also, being that I’m from Wisconsin, the whole experience would have been ten times better if there was snow.